strengthMuscle strength and power that takes place in Ping-pong, that is, helps you develop both brute force compared with other physical activities or sports. EnduranceCardiovascular endurance constantly providing Ping-pong practice, that is, how much help you cope ejercitándote long compared to other sports or physical activities. 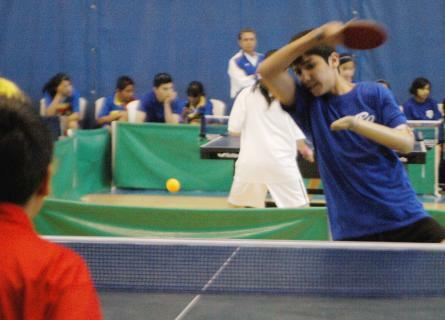 AgilityAbility to move the body as desired quickly and accurately obtained by practicing Ping-pong, constantly compared to other physical activities or sports. ReflexesAutomatic responsiveness to stimuli is achieved spontaneous Ping-pong, practice compared to other sport or physical activity. AccuracyHow much will dominate specific body movements to achieve the same result to practice Ping-pong, compared to other sports or physical activities. 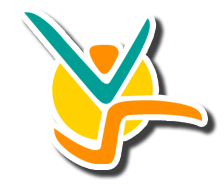 BalanceBoth are able to control the body's muscles to prevent the imbalance by making Ping-pong unlike other sports or physical activities. 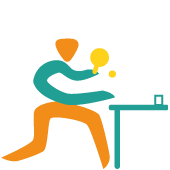 ConcentrationThe ability to focus mind and senses intention to achieve a specific goal that is acquired by practicing Ping-pong, compared to other sports or physical activities. ToningStylization of the body and muscle derarrollo pruduct of optimal levels of body fat that comes from Ping-pong, compared to other sports. Calorie BurningThat many calories are burned while practicing Ping-pong, when compared to other sports or physical activities. Sport played between two players or two pairs (single or double), who hit a small ball back and forth with a table dividing it by a net. 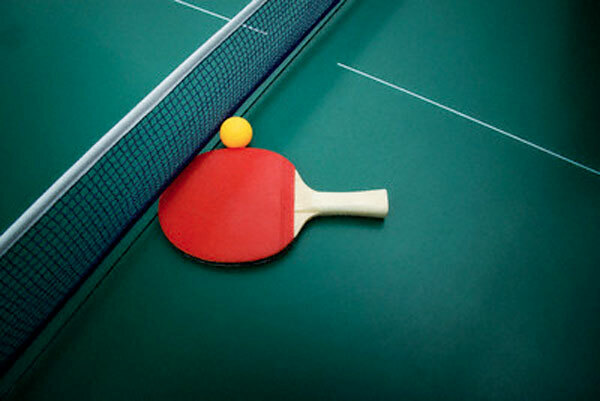 At first it was called Ping-pong but being a registered name was changed the name to table tennis. When starting the game, the player or team that serves will do it for two turns and then move the serve to the contrary. If the ball, to make a throw right, hits the player taking the field, hits the net or in the supports of this the serve should be repeated until does not happen. When the match is doubles, the players hit the ball alternately. In addition to the serve is done on a crusade. 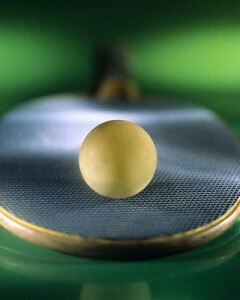 It is believed that Ping pong emerged in England in the 1870s as an outgrowth of Tennis. Perhaps it was the response to unfavorable weather that forced the tennis players invent this sort of miniature using a pool table and some barrier that divided (books, strings, etc..). This version is for the who are inclined Gerald Gurney and Ron Crayden, two scholars of the history of table tennis. In 1884 already marketed a game of "tennis miniature room" created by the company FH Ayres LTDA. Soon the game spread among university students in England. In 1891, the sporting goods manufacturer John Jaques patented a game called "Sgossima", which failed to transcend. It was until 1891 when James Gibb, founder of the famous athlete AAA, created a material consisting of a fixed network to two poles placed on a raised wooden surface soil that sport took course, at first used rubber bullets but when he came to America found celluloid balls, and entering the game with great success. Gibb then suggested the name of Ping Pong, Pingrefiriéndose the sound made when hitting the ball with the racket covered with parchment and Pong ball in contact with the table, the signature of John who recorded the name. It was originally known as Ping-pong ®, but because it was a registered name was decided to call it table tennis, a name that was registered in the first regulations in 1920 created. The first official world competition was held in London in 1926. The most important skills worldwide are Swaythling Cup (men's teams) and Corbillon Cup (women's teams). Came to Mexico in 1918, where it practiced as a family active pastime, mainly domestic, but also played in clubs and community centers so obtaining the casual game category. Then in the upper school environment starts as a formal sport, that's where Mr. Alfredo Ramos Uriarte formalizes the integration of the Table Tennis Association of the City in 1938, the same acts as the Federation officially in the year 1984. 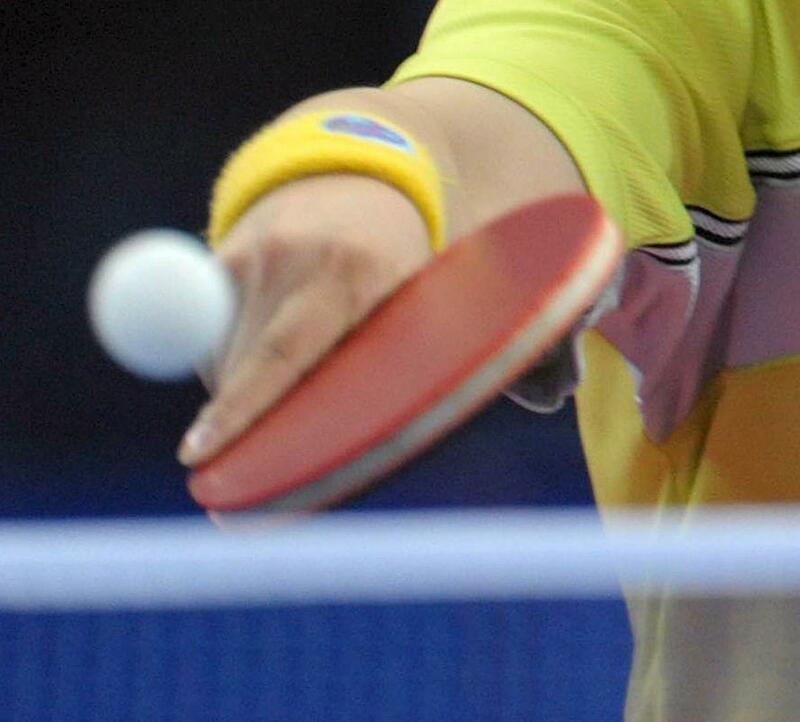 Table tennis is an Olympic sport since the 1988 Games held in Seoul, Korea. The ball must be made of celluloid and its weight should not exceed 2.7 grams. The referee circumvents between players start the game, the winner will decide whether or pass it out to the contrary. You can play best of 5 or 7 games, this is determined before the match starts. The server has only one attempt to take, but if the ball touches the net and bounces on the ground opposite, this should be repeated. Each player has two services. The ball must touch the opposite field without touching anything else before. If a player does not return the ball successfully, the opponent gets a point. 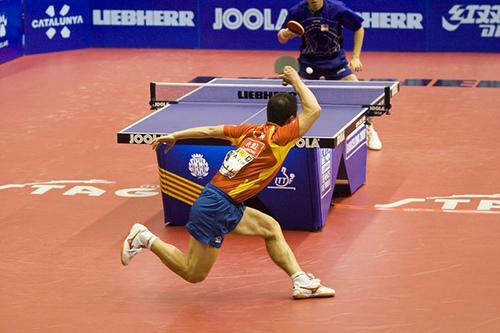 If a player touches the table with any part of their body (excluding the racket) is point to the contrary. The game ends when one player or team reaches 11 points with a minimum difference of 2 points over the opponent. This is called win a "game" (play). In the case of 4 players or doubles, each player of the same couple must hit the ball alternately. The serve, in this particular case, must be done on cross from right to right, a throw to each hand and touching the center line is valid.